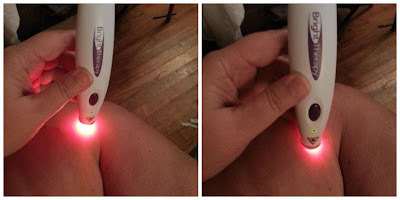 I have been using the BrightTherapy Softlaser PLUS Acne & Scar removal for a little over 3 weeks on to treat a few unsightly spider veins on my legs. There is no pain or heat from the laser and it is very easy to use. BrightTherapy Softlaser PLUS Acne & Scar removal arrived in a very timely manner and was well packaged. The box includes the handheld device, batteries, a storage case and instruction guide. The instructions as very easy to follow and I have seen a noticeable difference in the color and size of the spider veins on my legs. I am very happy with the results and look forward to seeing the end results. It's lightweight and easily portable so it can be done anytime and anywhere. 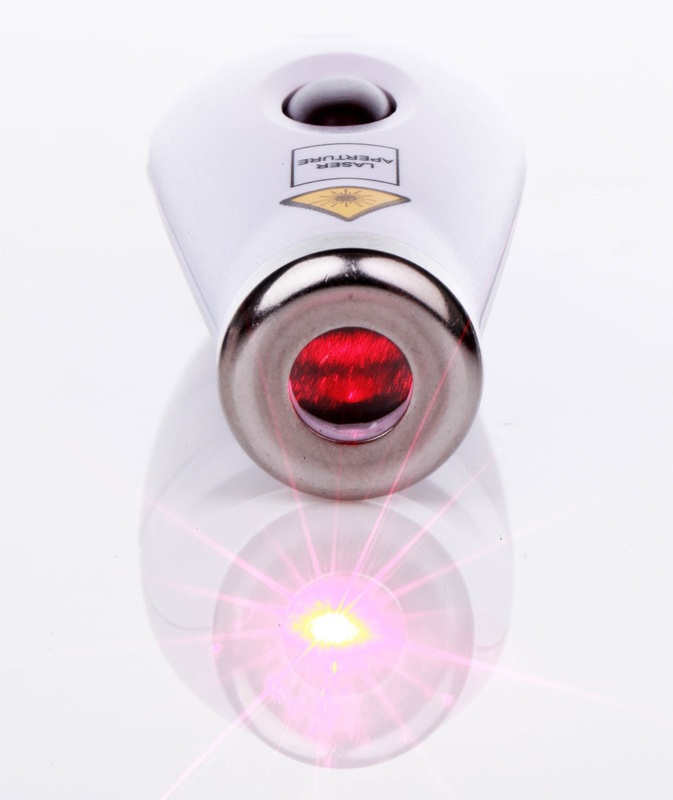 Faster and more effective than LED light Therapy, 635nm Softlaser light cannot burn. The Bright Therapy Softlaser Plus is the No. 1 selling Light Therapy Softlaser in the world. 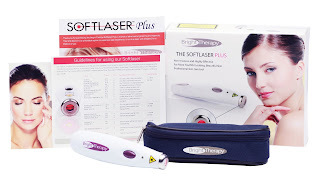 The Bright Therapy Softlaser Plus is ideal for treating acne, wrinkles, spider veins, age spots and so much more. Look years younger and have beautiful skin. Have a clear, radiant complexion. The Softlaser works in the privacy of your own home without expensive surgery, chemical peels, collagen or Botox injections. Large treatment area – unique system creates 11mm wide beam. Don’t let the term “Laser” scare you. The Bright Therapy Softlaser Plus does not cut or burn as surgical lasers do. Instead its light penetrates into the skin to stimulate cellular growth. You feel no discomfort from the treatment. 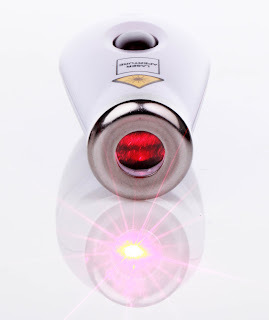 The Bright Therapy Softlaser Plus produces a true laser light that has a super wide beam. It is this coherent and monochromatic Laser light that stimulates skin cells to produce more ATP. The energized cells act like younger cells, producing more collagen, healing faster, and fighting acne causing bacteria. Heals eczema, dermatitis, rosacea, burns, spider veins & more.. The Softlaser operates 635nm wavelength and 5mw of power that has proven to be the most beneficial for skin rejuvenation. The Bright Therapy Softlaser Plus uses proprietary system that creates a 11mm wide beam so a large area can be covered. The soft laser is powered by 2 AAA batteries. CPO Technology: The Softlaser Plus uses capacitors and resistors that keep the Laser light output constant and very bright. We called this CPO (Constant Power Output) Technology. Instead of dimming when the batteries get low the Softlaser will shut off automatically. This means you need to replace the batteries. 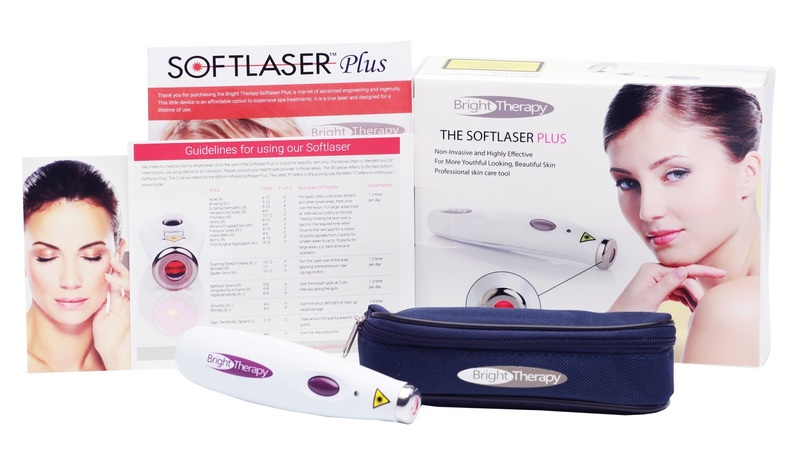 The Bright Therapy Softlaser Plus, Instructional DVD, User Manual, 2'AAA' Batteries and Travel Case. All Bright Therapy Softlaser Plus are covered by a 1 Year Warranty.